The ten specialised departments into which our business is divided form both the engine and the bedrock of the company. Through these we devise optimum solutions for our investment concepts, from the initial market analysis to the final project development company. A hand-picked team of technicians, scientists, auditors and management consultants conducts an initial preselection of projects. The projects on the preselection list are then subjected to the precise and stringent scrutiny of the process known as ‘due diligence’. Only then is the final decision taken on whether or not to go ahead with the various projects. The project management is involved in the selection of projects right from the start, being responsible for the coordination and realisation of all stages. Tasks include the development and implementation of terms of reference together with all attendant technical and contractual activities, as well an intensive controlling role. Project management also ensures compliance with all technical specifications and contractual terms of reference and goals in this area. Together with our auditors, this department provides key support in the preparation of forecasts, as well as providing the project development companies with advice on and support for the introduction or modification of their accounting systems. We pay special attention here to the integration of the individual computing systems into a complex and comprehensive information and communication system involving financial accounting, cost and performance accounting, cash-flow statements, budgeting and operational evaluation. 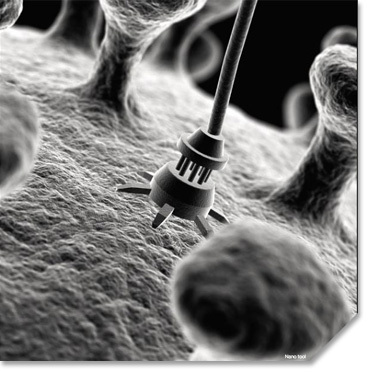 The detailed findings on the corporate planning of project development companies obtained by this department of NANOINVEST facilitate collaboration in the field of operational controlling. Working together with personal financial and securities advisers, the purpose of this department is to inform investors and distribution partners of the latest situation and pass on news about the project development companies. Investor care thus plays an intermediary role between the project development companies and capital investors and is responsible for the implementation of administrative terms of reference and the global execution of the concepts. Right from the start the process of building up the project development companies is at the fore here. The continuous monitoring of information also enables this department to fulfil a controlling function with respect to the project development companies. 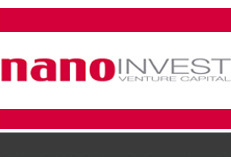 Alongside devising financing plans, a major component of NANOINVEST’s service portfolio involves assistance with their concrete implementation. To this end, through our partners we enter into distribution contracts with various financial service institutions and firms. The department is concerned not just with the acquisition of said institutions and firms but also the provision of care for existing distribution partners through training and informational events. Part of this process involves regularly passing on the information gained from our investor care to our distribution partners. Where necessary or expedient this department is called in to assist in designing the overall finance package, especially when there is a need to prepare the financing foundations, contact banks or negotiate contracts for the taking out or granting of loans and the arrangement of security on said loans. The Risk Management department is responsible for preparing and implementing the often extensive legal requirements governing corporate control and transparency in the project development companies. The principal tasks here are the analysis of potential technical and economic risks, devising appropriate countermeasures and the development of an auditing system. An internal team from our Consulting Services department is responsible for dealing with this sphere, in cooperation with reputable external accountancy firms. We set great store by this field of operations because it is the only way of guaranteeing comprehensive support for the project development companies and companies in which we have invested. Many companies are not in a position to implement a risk management system under their own steam because they lack the necessary in-house experts and specialist knowledge to deal with the legal requirements in this sphere. It is here that NANOINVEST risk management steps in, providing the specialised expertise necessary to put professional solutions into effect. To ensure the efficient realisation of the various project development companies’ goals, we provide personnel who we train in-house to deliver an intensive coaching and training programme. This applies especially to the fields of project management, administration and accounting, as well as investor care. The publicity department is responsible for the planning, design, coordination and production of all advertising materials needed in connection with the launch, placement and image building of the project development companies. The tasks include advice on the preparation of attention-grabbing sales brochures carefully tailored to their intended readership. The publicity department is also responsible for targeted, effective press work, maintaining continuous media contacts and preparing press releases and press kits, as well as sending them out to individual press distributors. The department also organises and conducts press conferences and keeps records of publications. The department also provides consultancy services for the project development companies, right from the start phase through to market consolidation, on issues relating to advertising, sales promotion, corporate identity and public relations. From an early stage we analyse the project development companies’ prospects in relation to possible initial public offerings. This department is responsible for initiating the measures necessary to prepare them for the stock exchange, as well as being available to assist the project development companies in selecting the partners it will need, such as an issuing bank and the necessary legal and accountancy/auditing personnel.